Jesse was snapped by fans at JT’s concert in Fargo, ND last night February 7th. 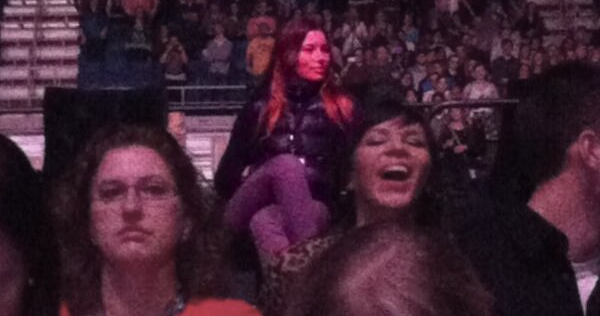 Lookin like the Queen she is, Jess is comfortably watching her hubby perform at the Fargodome in North Dakota. Check out the photo below, courtesy of Twitter user ‘m’. Some real news would be cool too tho.